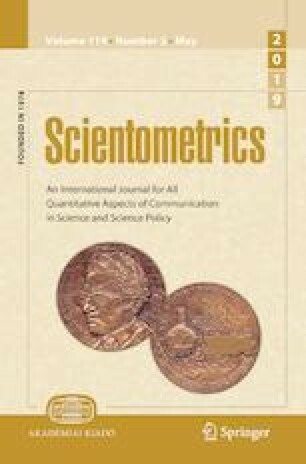 This paper analyses the entire publication history of the Journal of the Academy of Marketing Science (JAMS) by analyzing 1747 documents from 1973 to June 2018. Citation networks were examined from available metadata such as author and index keywords, and institutional affiliations, and abstracts were analyzed using network analysis and text mining techniques. The analysis is supported by the use of data visualization tools and community detection algorithms. Results suggest three main communities addressed throughout JAMS’ publication history (firm capability and performance, brand and value co-creation and customer service) and nine main themes (brands’ strategic value, firms’ strategy and financial performance, customer service, sales, marketing communications, retailing, distribution channel, global markets, and corporate social responsibility). Although empirical quantitative studies account the larger type of research published by JAMS, results also highlight JAMS’ contribution to marketing theory building and methodological issues in the shape of both conceptual/theoretical papers and scale development papers. Clarivate Analytics. (2018). InCites Journal Citation Reports: Journal of the Academy of Marketing Science. Retrieved June 25, 2018, from http://jcr.incites.thomsonreuters.com.ezp.lib.unimelb.edu.au. Scimago Lab. (2018). Scimago Journal and Country Rank: Journal of the Academy of Marketing Science. Retrieved June 25, 2018, from https://www.scimagojr.com.